I found All Saints open and the external signs give the opening times. You go to the hall entrance around the back and ring the bell. It is a church worth visiting as there are some interesting things here. Some lights are left on which gives a more welcoming atmosphere. 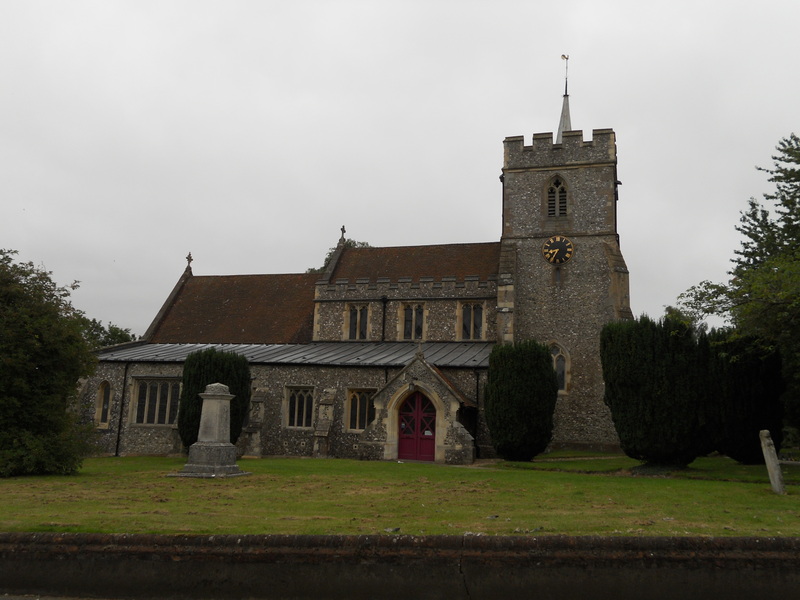 There is a guide book at £2 and an interesting booklet ‘Who was who in Kings Langley Parish Church’ a very good idea as it list various people who are buried here. 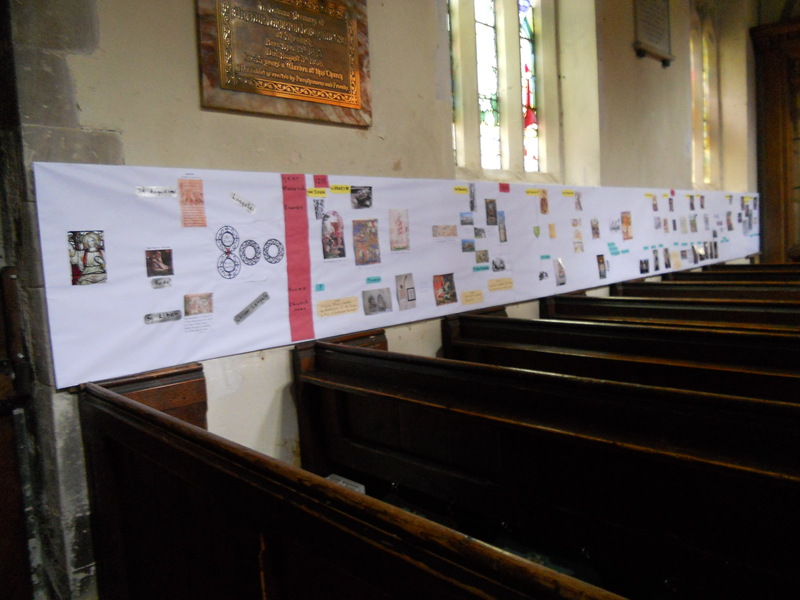 There is a large ‘time line’ which gives a history of the church from medieval times to today, all put into the historical context. A lot of work has gone into this. There is a small votive stand but it is not very well signed to encourage usage. Somewhere to leave prayers would be good as well. There is a visitors book but again it wasn’t very obvious and only shows 6 entries this year so far. 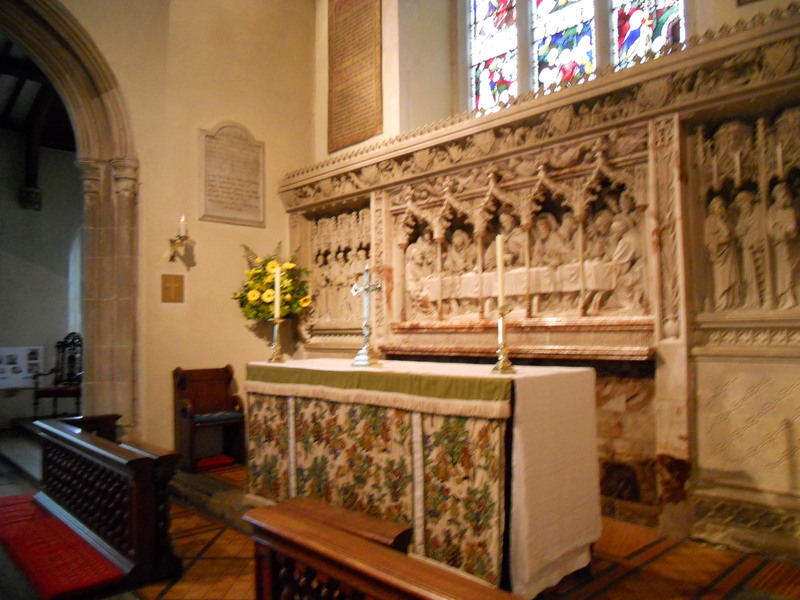 The church website is at http://beneficeoflangelei.org.uk/all-saints-kings-langley/ but it doesn’t give visitor information which is a shame as this is a church well worth seeing.